There are various reasons why you may choose the motorcycle over all the other types of vehicles that are available. For people who have ridden motorcycles all of their lives, they speak about the adrenaline rush that they get when they are on the road. They also like the fact that their motorcycle is fuel efficient and that they can go from one place to another without having to worry too much about traffic. Yet, probably because of all the good things that motorcycle users say about the motorcycle, one fact is forgotten and that is that the motorcycle may be more dangerous to use than the common car. There are more people who are using the motorcycle who are more likely to die when a vehicular accident occurs. The people who die because of motorcycle accidents vary but usually, there are more deaths for the youth as they have the tendency to become reckless and even for those who are older because their reflexes are already slower. Some people assume that just because they have been using their motorcycles for a long period of time, they will always stay safe. This is not the case at all. This does not mean that people will never get to enjoy riding motorcycles though because some motorcycle enthusiasts have been riding their motorcycles for use and they have not gotten into any accident. It is all about knowing the safety tips that will allow you to ride your motorcycle safely and with ease. 1. 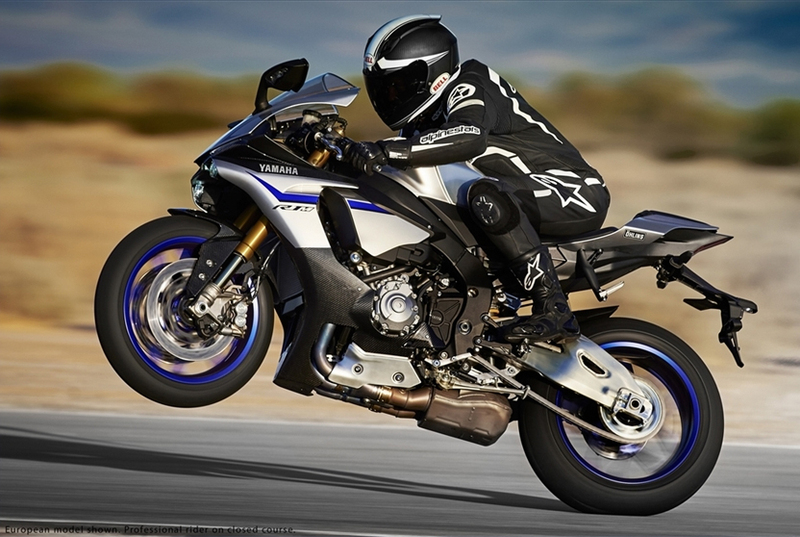 Pick the right motorcycle for you. One of the greatest mistakes of people is assuming that they can handle a large and powerful motorcycle even if they are new at riding. This is not true at all. There is a reason why different motorcycles are available and this is to accommodate beginners, intermediates and experts. If you are a beginner, there is no need for you to purchase a motorcycle that is meant to be used by experts because this will only increase your risk of getting into an accident. 2. Consider purchasing anti lock brakes. If you are not familiar with what anti block brakes are, this is a type of gear that you can place on your motorcycle so that it will give you the strength of brakes that you need when an impending crash is about to occur. It is true that motorcycles are equipped with brakes but sometimes, those brakes are not enough to save people’s lives. You can invest in this and save your own life. 3. Make sure that you are skilled enough to ride your motorcycle. One of the greatest mistakes that you might make while you are riding your motorcycle is assuming that you will never get into an accident because you have the proper skills in order to drive appropriately. Even if you have basic knowledge about riding, you still need to make sure that you will continue improving your skills. Riding a car is different from riding a bicycle. Even if you have driven a car for a long time, you may have to acquire a whole new set of skills to help you out in riding your motorcycle. 4. Wear the right gear and safety equipment. You have to remember that the first step before you ride a motorcycle is to wear all the right gear. Choosing your very own helmet is extremely important because wearing a helmet can literally save lives. 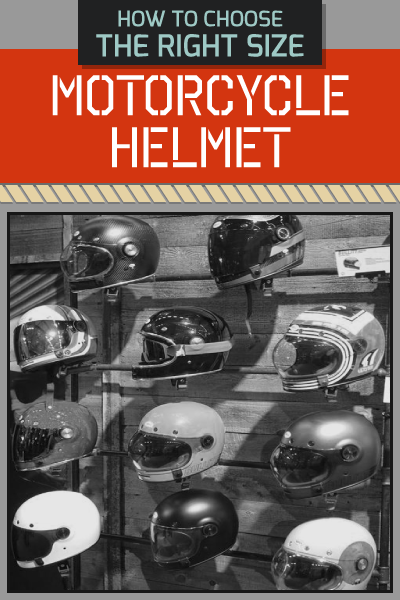 Picking helmets that are not expensive or may be bought from the usual supermarket may not be the best option because this will not give you the protection that you need. Rather, what you have to do is to pick out a helmet based on its reviews and how it fits you. 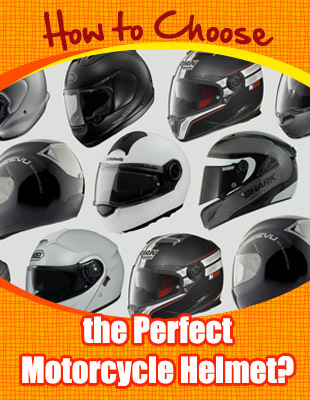 There are different sized helmets available all meant to help you remain comfortable while riding. You may also need an extra helmet if someone else is going to ride with you. Aside from the helmet, the clothes that you are going to wear may also protect you from the wrath of the road. If you are going to wear the usual shorts and slippers combo, how do you think will you be protected when a crash happens? You need to have a thick coat to protect you from the road as well as sturdy shoes that will also allow you to manage your controls better. One of the reasons why a lot of people get into various accidents is because they are not alert enough. A lot of the road accidents that have occurred so far is because of the fault of the driver. Miscalculation is always a top reason. If you would be alert then you will have the needed reflexes in order to help you avoid possible accidents. You also need to maintain just enough distance between you and the car that is right in front of you to avoid possible miscalculated accidents. When the weather is not that good, there is a bigger chance that you will get yourself into a hazardous situation. First and foremost, there is a big chance that you will slip especially when you miscalculate some of the turns of the road. At the same time, you will also get wet which can make you more vulnerable to various diseases that are available. 7. Check your motorcycle before going out. 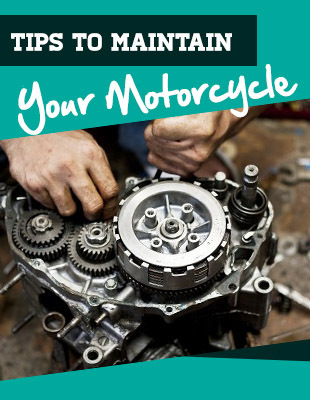 To ensure that your motorcycle will not stall while you are using it, you need to check your motorcycle thoroughly. Check if your horn is working and check if the brakes are working. Perhaps fill up gas if you lack enough gas to get to and from your destination already. This will ensure that you will be safer on the road. Remember that your tires can play a huge factor on how safe you are going to be on the road. Make sure that you will have your tires replaced when you need to. At the same time, check if they are over or under inflated before you use your motorcycle.